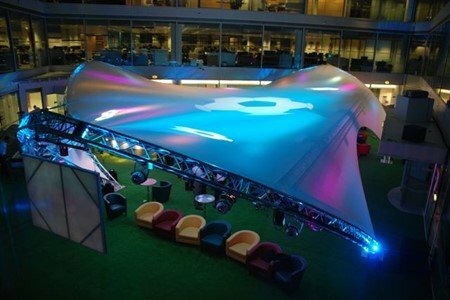 A London-based events company required a stunning tensile canopy for their corporate client, inside the atrium of their office block. 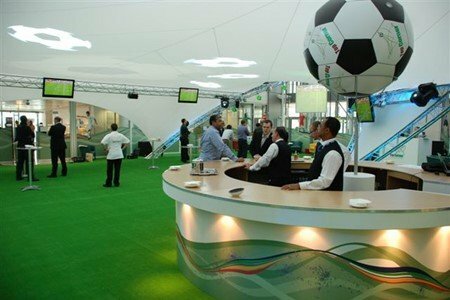 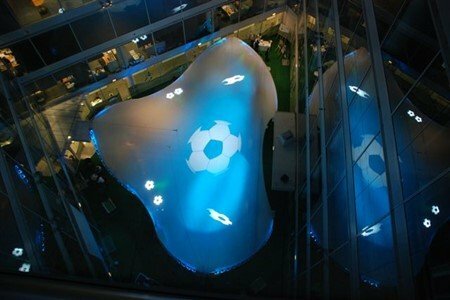 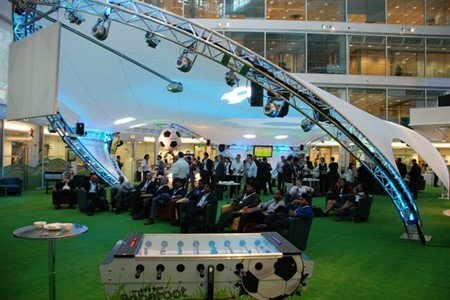 This internal structure was the host venue for a corporate World Cup Event. 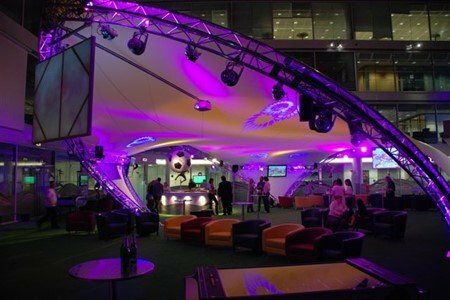 Guests were wowed by the tensile canopy changing colour and the lighting and video shows projecting onto the surface throughout the day. 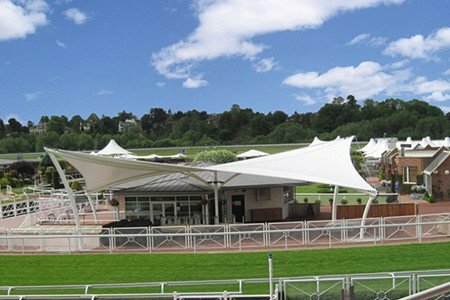 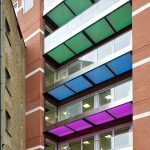 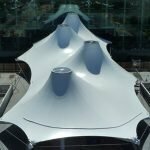 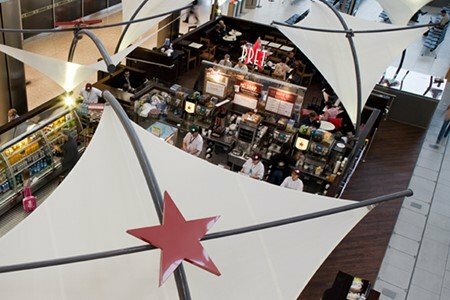 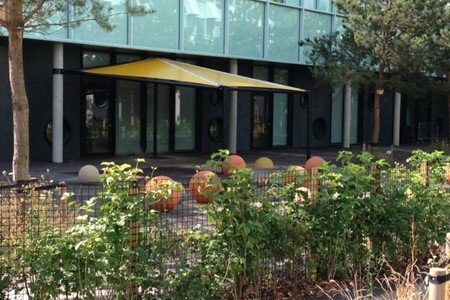 Fabric Architecture’s Design & Engineering team had the challenge of ensuring the tensile canopy was designed and patterned to a pre-existing framework and tensioned to an exact fit. 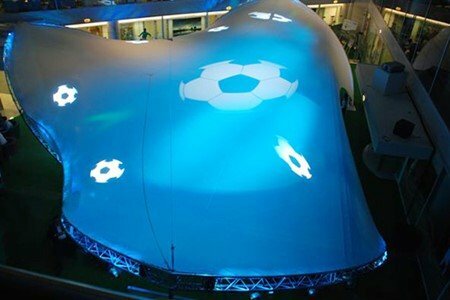 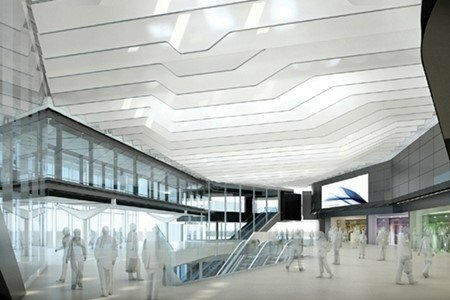 The requirements for the tensile canopy included high levels of light translucency, interface rigs for lights and video projection systems and rapid installation. 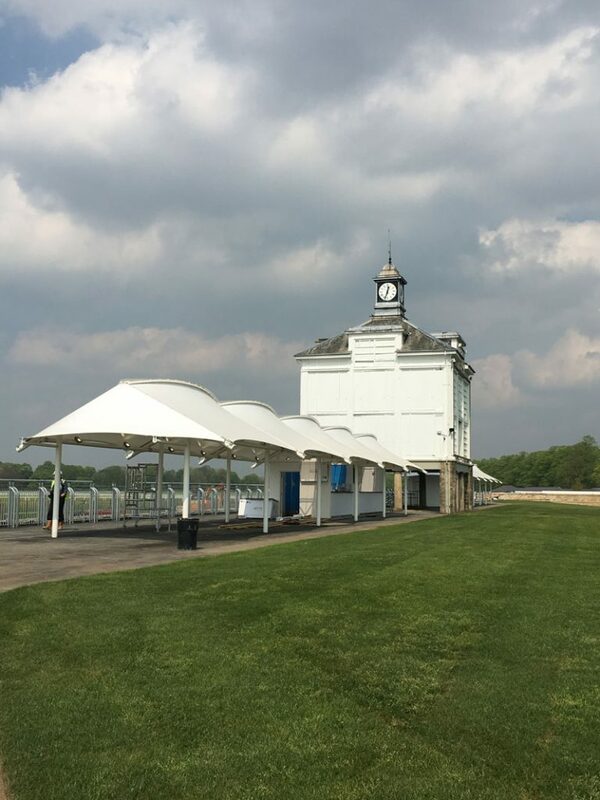 The events company was impressed that our Installation Engineers completed the 20m x 16m, 3-way ‘Saddlespan’ fabric canopy structure ahead of schedule. 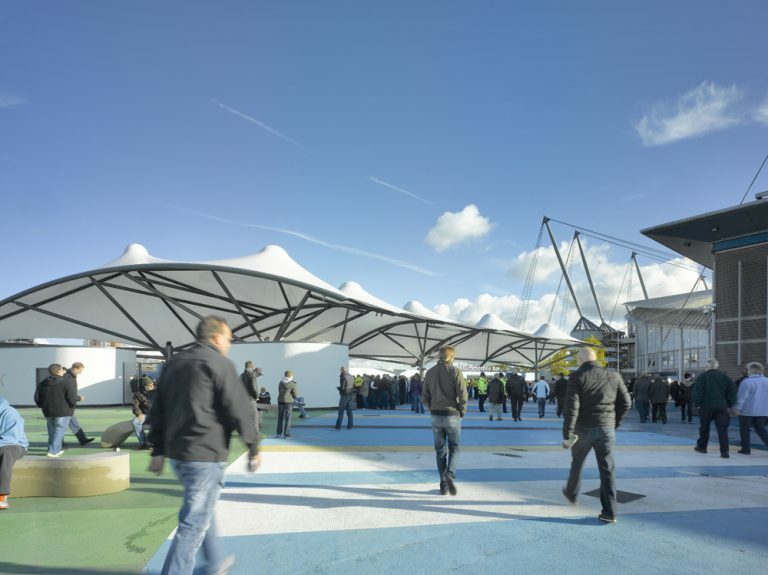 So pleased, now that the World Cup has come and gone, the client makes the venue available for commercial hire, the space created by this beautiful canopy is now a revenue generator.